These questions will help entrepreneurs to develop Business Plan. The answers to these questions would lead you to Business plan development. Entrepreneurship is a wonderful journey into “unknown” territory and only support entrepreneurs have is their IDEA. The first task for any entrepreneur is to develop a Business Plan. Believe me, the word “Business plan” scares a lot of entrepreneurs in taking a leap into the faith of their idea and most of them tend to drop out from this journey even before trying out. Recently, I attended a unique event organized in Sharjah called Sharjah entrepreneurship festival (#sharjahef) wherein I was exposed to wonderful concepts of tech startups and met with a couple of budding entrepreneurs. Post chatting to them, I realized that one of the biggest hurdles for any “wannabe” entrepreneur is lack of financial knowledge or fear of developing a Business Plan. 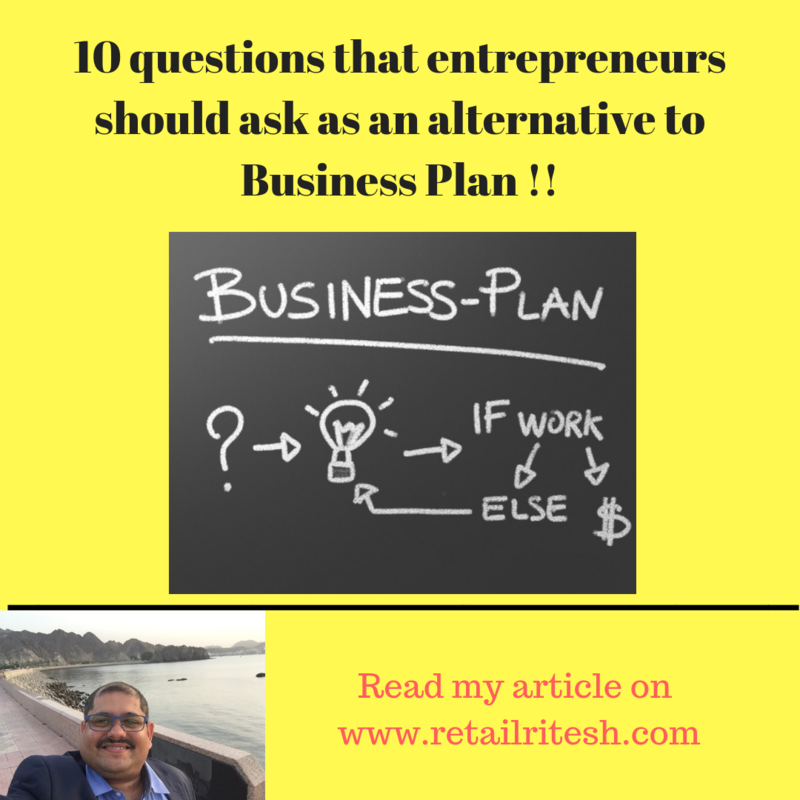 This article is my attempt to simplify myths of complicated Business Plans by providing my readers and budding entrepreneurs the easiest way to develop their own Business Plan. Most of the finance wizards or so-called “consultants/advisors” talk about sustainable business plans which according to me only help them since by prolonging the duration of the business plan or making it more complex, they create wealth for themselves and that’s what advisors mean by sustainable. It is sustainable for them. The world is full of over-educated nuts, who devote a majority of their lives in making things complicated. First and foremost thing that any entrepreneur should keep in his mind is SIMPLICITY. Remember More Clear you are in your thoughts or ideation, the SIMPLER would be your business model. Clearer thoughts require a deep understanding of your business model or Business idea. Once you can tell another person what your business is and why it’s special, without their eyes glazing over, you are on the road to success. How do they meet that need now? Why would they buy this instead? How many people could buy it? How would I reach them? How many of them would buy it? How often will they buy? How much will it cost to make or fetch each one? How many people would I need to do that? These questions are nothing but Business Plan simplified. The answers to these questions would lead you to Business plan development. Don’t worry it is not as scary as it sounds. The answers would tell what has to happen for your idea to become successful. It is a process driven roadmap simplified for upcoming entrepreneurs. If any of my readers want any help or assistance in their entrepreneurial venture, then feel free to email me on riteshmohan@yahoo.com. I would be more than glad to help budding entrepreneurs as I strongly believe that the future of the economy would be driven by entrepreneurs and tech startups. Watch this video which demystifies the myths associated with entrepreneurship. For my Bollywood fans, I would like them to view one of favorite dialogue which gives the real sense of “Business”. Watch it and enjoy. Reference book: David Gilbertson’s The Wine Bar Theory.